Rosie Advises: How to keep your diet during Easter! Today on Rosie Advises I’m going to talk to you about how yo stay on your diet during Easter (or any other holiday that involves sweets). I know it’s hard not to go totally overboard and eat everything yummy there is in these kind of days, but I also know that portion sizing can be done! 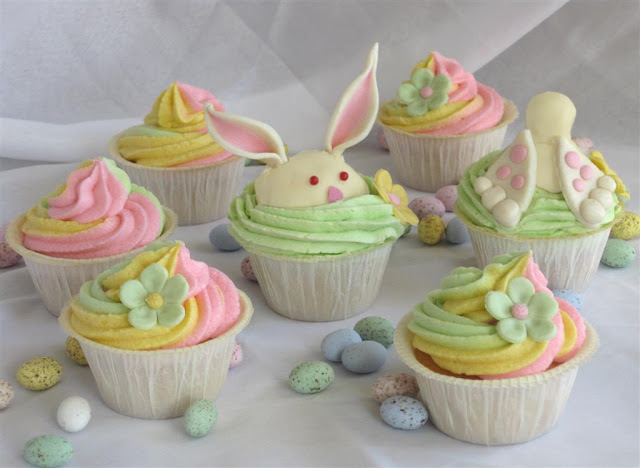 I mean, seriously, who wants to be on a strict diet during Easter, right? With all the chocolate and the cakes and all that, we want to enjoy them and not be the one sitting in the corner looking like a mad man to everyone’s plates! And girls, you can enjoy and eat some of the good stuff too! The most important this is not to skip meals. How many times do we skip lunch because we’re going for dinner to a family member’s house and want to enjoy the meal? We think we’re actually “saving” our calories for the dinner, but in the end we end up eating way more than we should and let’s face it, no one wants to feel sick during Easter! Having that said, eat like you normally would, drink a lot of water or tea. If you want to eat some of the sweets, make sure you’re not eating just out of boredom or that you’re starving, because both will make you eat more and therefor put more unwanted calories in you! I firmly believe that portion control is the key here. If I want to eat a piece of chocolate, I will eat ONE piece! Same with cake, chocolate mousse or whatever you will like. In days like these when I know there will be sweets lying around, I try to do an extra effort in eating clean, meaning veggies and fruit (I’m eating an apple right now!) and drink a LOT of water. All in all, don’t deprive yourself because you’ll end up unhappy and will end up eating way more than you wanted or needed! Exercising is a good idea too, but I’m not telling you to go hit the gym for two hours during the holiday weekend! Instead, try going out for a walk with you boyfriend/girlfriend or with your dogs, hit the park or just downtown, but keep moving!! If you don’t want to go out you can always do some exercises at home (I do at home DVD’s and love it!!) and you’ll feel better afterwards, I promise!! 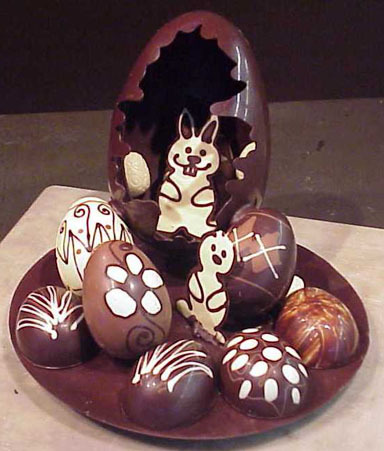 I wish you all an amazing Easter weekend and enjoy the good food! Previous Post Every body is beautiful! I always go on a diet but I can't resist chocolate…and SWEETS! Those cupcakes are gorgeous! I am a new follower from Rome. Happy Easter!